This weekend my baby is turning 3! It is hard to believe, and it feels like a big milestone. As I was thinking about her special day and what I could post in honor of it. I decided that I would share with you a pie that was inspired by her. It was actually inspired by her before I even knew she was a “her”, before we knew she was Lucy, before we knew she would be full of life, an early riser, a smile bringer and a passionate, sun-shiny soul. When Dave and I knew we wanted to begin trying for #3 our dear friend, Amy, asked us to please try to be creative when announcing to her that we were pregnant. We have never gotten very creative when it comes to announcing pregnancy and this was a tall order coming from one of the most creative people I know- (check out her house design blog). So I began to ponder what I could do to creatively let her know that we were expecting a baby. Have you seen the movie? It stars Keri Russell (who I think is great- so fresh and naturally beautiful) and Adrienne Shelly, who wrote, directed and acted in the film (RIP). The film is a dark, poignant, quirky, disturbing-yet-endearing story of love, dysfunction, dream seeking, and pie making. I love a movie where cooking is the context. She makes pies throughout the movie, and they are beautiful and delicious looking: including Falling In Love Chocolate Mousse Pie, Lonely Chicago Pie, Marshmallow Mermaid Pie and Bad Baby Pie. 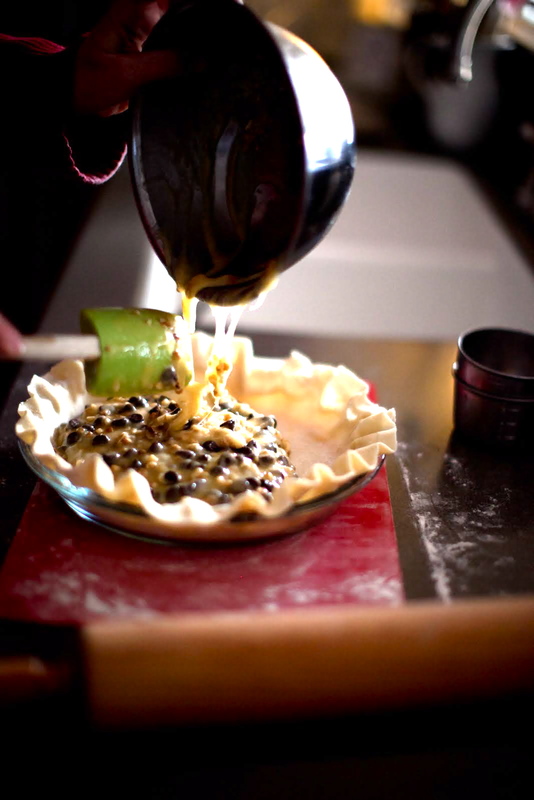 She makes rich chocolate pies, fruit pies, even quiche-like savory pies. 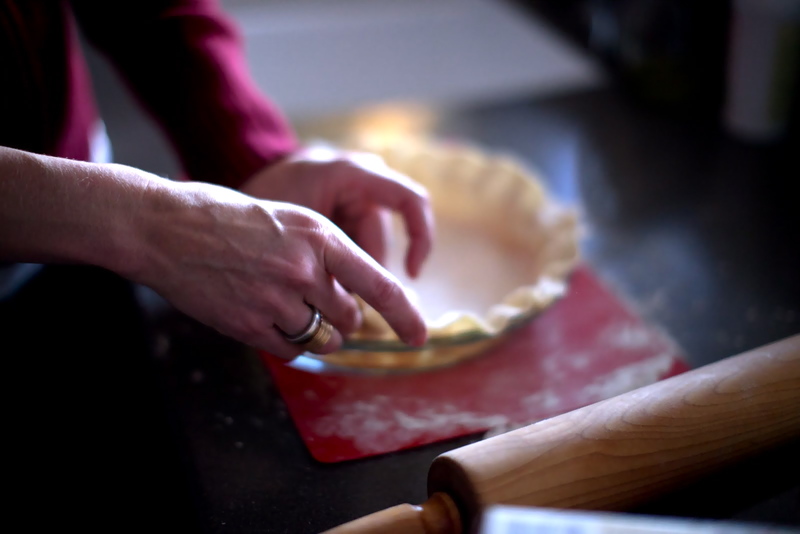 She is creative and daring in her pie making, as she invests great emotion and meaning behind each one! I also love that she sings this childhood melody, “the Pie Song”, during the film. I left the theater wanting to make a pie and sing that song. This gave me the idea! I decided to make a pie: Amy’s favorite pie- Kentucky Derby Pie and serve it with a label on it: “We’re Having a Baby Pie”. So I made that pie, singing the Pie Song and invited Amy to have a piece of pie. She asked, “What kind of pie?” and I said, “we are having a baby pie”as i lifted the pie cover. 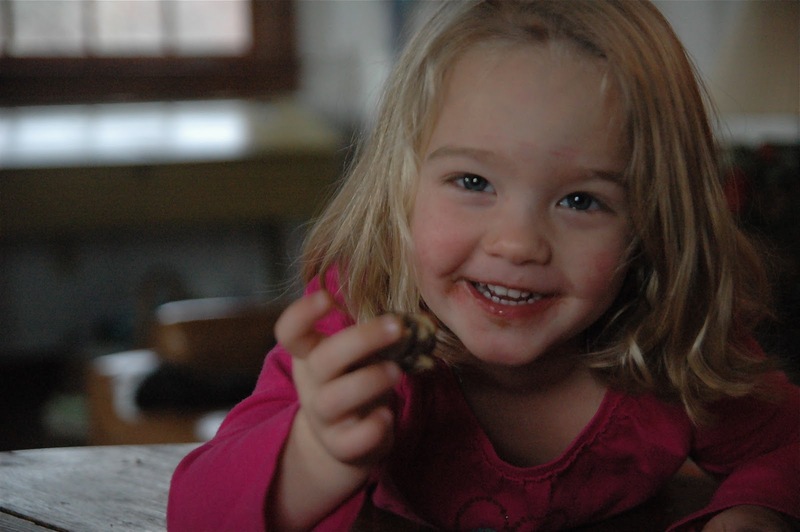 She said, “what?” and the rest is history… 3 years and a few pies later we are celebrating that baby’s 3rd birthday. There’s really nothing novel about the pie. You have probably had it many times at potluck dinners or grama’s house. I don’t know what you call this pie. Chances are it’s probably not We’re Having A Baby Pie or Sweet Lucy Pie. Maybe Derby Pie, Kentucky Derby Pie or Chocolate Chip Pecan Pie. I sometimes call it Chocolate Chip Pie in front of my kids, hoping they won’t notice the pecans, which they think they don’t like. Any way you name it, it is simple and tasty, a crowd pleasing southern classic.It’s great warm or room temp with a big scoop of vanilla ice cream on top. Happy Birthday to Lucy- you’re as sweet as pie! Start with the pie crust and follow the directions on the box for prepping it. 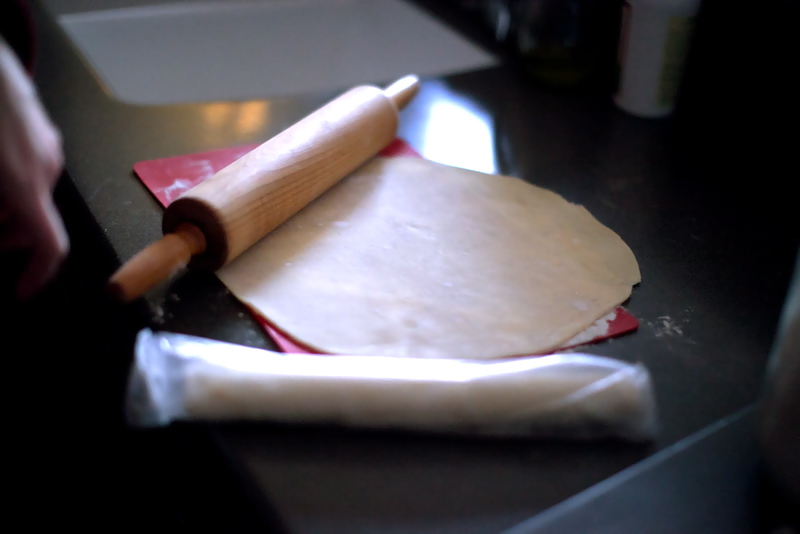 I slightly roll it out on a floured mat to give it ample room to hang over the pie lip. In a bowl, stir together sugar and flour. Then stir in melted butter and eggs by hand. Then stir in the Chocolate chips, vanilla and nuts. Finally pour into the pie shell. Bake at 350 for 25-30 minutes. After 15 minutes I reach in and tent aluminum foil over the edges to prevent burning. The only tricky part of the pie is determining done-ness. You want it to not jiggle when you shift it around. Allow to cool for 15 minutes before serving. The pie will firm up during the cooling. Love it, Leigh! How fun that you two got to meet. We need to all 3 have coffee soon!